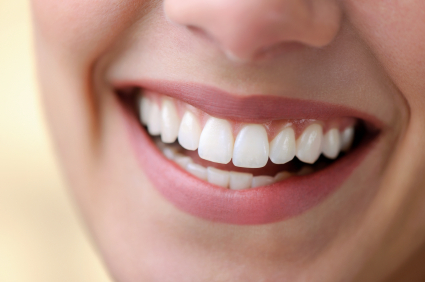 Gum disease is a direct result of a body out of balance, rather than simply plaque buildup or poor brushing habits. According to Business Week, “about 54 percent of men and 46 percent of women over age 30 in the United States experience gingival bleeding, the earliest sign of periodontal disease.”1 Essential nutrients are not deposited on the gums because they are missing from the diet. A diet heavy in sweets or processed foods, not consuming or absorbing enough minerals, or buildup of toxic material in the body can result in gum disease.2 Periodontal disease involves both bone and the tissue that is in contact with that bone. From this contact, bacteria and toxic inflammatory compounds can easily enter your bloodstream. Once in your bloodstream, these toxic compounds can wreak havoc on the lining of your blood vessels.3 Pyorrhea is an advanced stage of gum disease in which ligaments and bones the support the teeth become inflamed or infected. Gum disease also increases your risk of several other serious diseases including heart disease, diabetes and stroke. Pastured eggs and meats: Eggs from pastured chickens, ducks and other animals are rich in tooth decay-fighting vitamins and minerals. GO GRAIN FREE as much as possible. Grains that have not been soaked and soured (the dough left at room temperature for a few days) are high in phytic acid which inhibits mineral absorption, including calcium, magnesium and iron. Phosphorus is a crucial mineral for healthy teeth, and most of the available phosphorous in grains is bound up as phytate and is not absorbable. Therefore, grains deprive the body of many needed nutrients, and this can show up as gum disease and tooth decay. If you eat grains, try to consume them with a calcium product such as raw cheese or raw milk. Raw nuts can be high in phytic acid so raw nuts and nut butters should be minimized. Soak nuts for 8 hours in lightly salted water and roast in the oven at 150 degrees Fahrenheit for 12-18 hours, or use a dehydrator. Buy roasted nut butters (without additional bad oils) or make your own. Eliminate/minimize alcohol, refined sugar, nightshades (potatoes, tomatoes, bell peppers and eggplant have inflammatory effects) and caffeine. Coconut Oil Pulling: this ancient technique removes stubborn debris and pulls toxins from your gum tissue. Use 1-2 TB coconut oil and swish oil around in your mouth for 10-20 minutes (DO NOT SWALLOW!). Spit into trash- oils can clog drains. Researchers divided nearly 9,200 adults into three groups based on their omega-3 consumption. Dental exams showed that those in the middle and upper third for consumption of the omega-3’s DHA and EPA were 23 percent to 30 percent less likely to have gum disease.5 In addition, omega-3 fats are effective in reducing chronic inflammation.6 Fat-soluble vitamin A in cod liver oil nourishes the soft tissue in the gums. Promotes healing and strengthens gums. Bioflavonoids retard the growth of plaque. Calcium, Magnesium and Bicarbonate: The balance of each of these minerals are beneficial for overall oral health. 2. Nagel, Ramiel, Cure Tooth Decay: Remineralize Cavities and Repair Your Teeth Naturally With Good Food, Golden Child Publishing, 2011. Print. 4. Breiner, Mark A. , Whole Body Dentistry: Discover the Missing Piece to Better Health 1 ed. Fairfield: Quantum Health Press, 1999. Print.